When it comes to flooring, there are different makes and designs that people go for. Two very common types of flooring include vinyl flooring and linoleum flooring. Many people consider them to be the same but that is not true. Owing to some specific differences in the materials at molecular level as well as differences in longevity and maintenance, the two are indeed very different. The word vinyl, in chemistry, is the name used for the functional group –CH=CH2. This is similar to the ethylene molecule with one hydrogen atom removed from it. The vinyl that is used for flooring is a man-made product that is made using petroleum, which is a non-renewable resource. Its production process requires a large amount of energy so as to fuel the extraction of chlorine and then process it. Linoleum, which is sometimes referred to as merely lino, is a type of floor covering. It is made from some specific materials that include solidified linseed oil, ground cork dust, wood flour, pine rosin etc. Moreover, some mineral filters may also be used and these include calcium carbonate etc. 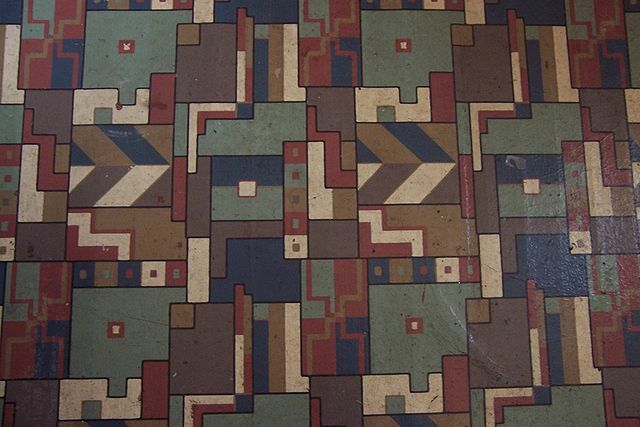 The finest of the linoleum floors, which are known as inlaid, are very durable. This is due to their composition; they are made by joining as well as inlaying solid linoleum pieces. There are also other, cheaper, patterned linoleums that come in different gauges or grades; they are printed with thinner layers, which makes them prone to wear and tear. Good quality linoleum is more flexible and can be used in buildings whereby other rigid materials would crack. The first thing that makes vinyl and linoleum different is their composition. Whereby vinyl is made from petrochemicals, linoleum is prepared by the mixing of cork or wood flour, tree resins, linseed oil and other organic pigments that are first pressed onto a jute support. The vinyl consists of a triple layer. The composition is the reason why the two types of flooring respond in different manners to exposure to sunlight. Patterns on the vinyl flooring often fade with time or even damage. This is usually because the vinyl sealant is spent. The sealant wears away due to direct exposure to the sun. On the other hand, the natural components used in the making of linoleum flooring respond better to exposure to sunlight. They gain a deep colour that is quite pleasant aesthetically. When taking the decision of which flooring to resort to, one must also consider the health hazards of the two. Normally, vinyl flooring material is more hazardous than its counterpart. This is once again due to their compositions; the natural components that are used to make linoleum floorings make it less hazardous to health. So even if the toxic fumes are inhaled, there is not any major harm that it can cause. There are the fumes of linseed oil that can be inhaled, but these too have no negative effects. Installing and maintaining floorings is yet another stage whereby vinyl and linoleum have to be treated or dealt with differently. Installing and maintaining vinyl flooring is very simple. The only required maintenance is to reseal the floor after the initial sealant coat wears off. In contrast to this, linoleum is harder to install and also requires professional help. For proper maintenance, it is also essential to use some elbow grease that is applied on the floor. Moreover, the frequency of doing this is also quite high and therefore the maintenance of linoleum floors can be time consuming. allana. "Differences Between Vinyl and Linoleum." DifferenceBetween.net. February 17, 2015 < http://www.differencebetween.net/science/chemistry-science/differences-between-vinyl-and-linoleum/ >.